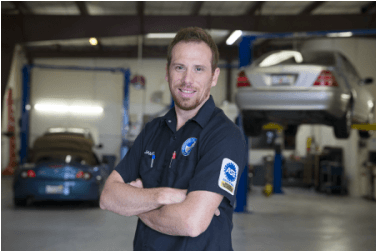 "Our mission at Elite Motor Works is to provide the highest quality in reliable car repairs; we ensure complete customer satisfaction." We have found that it can be difficult to find an honest, reliable and affordable mechanic. Your search is over. At Elite Motor Works we promise to deliver honest answers and a job done right the first time in a family friendly environment. We love to see our customers drive away with a smile. We specialize in car repair & maintenance for Porsche, BMW, Mercedes-Benz, Lexus, Audi, Mini Cooper, Ferrari, Maserati, Bentley, Rolls Royce but have the diagnostic tools and experience to work on most makes and models.